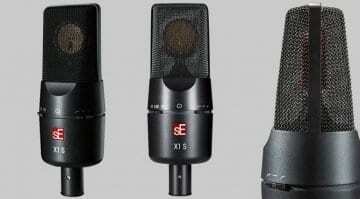 For an industry that had no problem convincingly simulating guitar amplifiers, vintage effects, and virtually any musical instrument in the world (via sampling and synthesis), the advent of microphone modelling sure took a while.Who knows, maybe marketing a reference-quality condenser microphone (needed to pull off the simulation correctly) at a reasonable price point was simply impossible not that long ago. 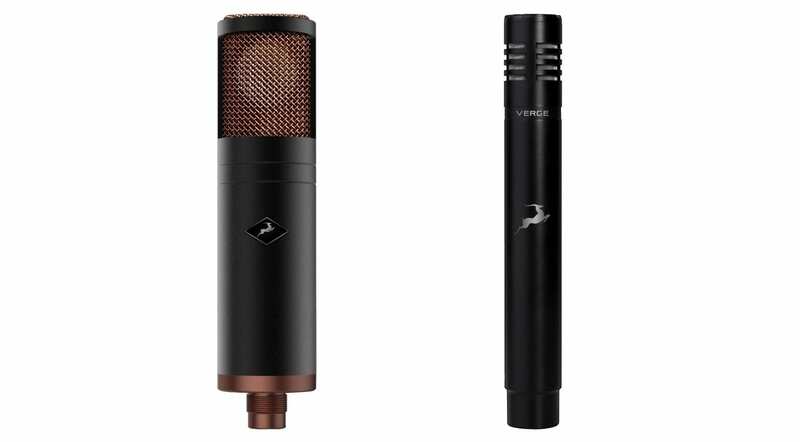 Regardless, mic modeling is now a thing, with products such as Slate’s VMS delivering a vintage mic locker’s worth of sonic character for a fraction of what buying and maintaining the originals would cost. 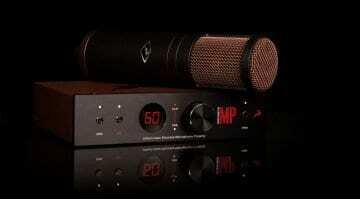 Antelope Audio is now entering the field, too. The move is hardly surprising, considering the company’s expertise in modelling classic studio hardware. 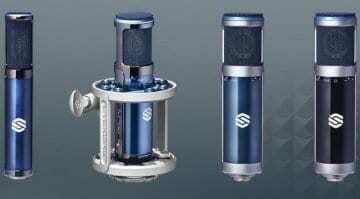 It has introduced a pair of condenser microphones designed to work with proprietary mic simulation software. Read more about The Edge and The Verge below! 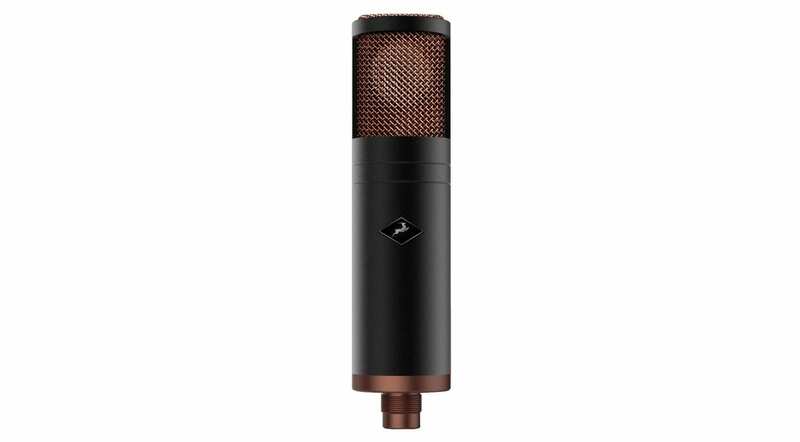 Antelope Audio describes the Edge as a large diaphragm microphone with “excellent transient response” and support for multiple polar patterns. It features a hand-selected capsule in a “carefully crafted enclosure” with gold-sputtered membranes, which sounds nice to have… we guess! Other than a bunch of specs, no other information is available at the moment of writing – including no price and release date. This one is a small-diaphragm condenser mic (back electret type) which Antelope Audio recommends for loud (high SPL) recording. The FPGA Accusonic modeling engine lets it emulate some of the finest small diaphragm condenser microphones in recording history. Other than the specs below, no other information is available at the moment. The Edge & The Verge are designed to work with Antelope Audio’s FPGA Accusonic 3D modeling software. 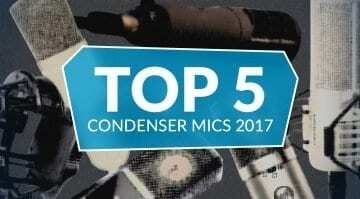 It features detailed real-time emulations of vintage large and small-diaphragm condenser microphones with control over parameters like proximity effect, off-axis response, and polar pattern (which can be changed before, during, or after recording). Although the available information is insufficient, we’re glad to see a reputable manufacturer like Antelope enter the relatively young modeling microphone market with such a comprehensive package. The Edge & The Verge probably have what it takes to spar with Steven Slate’s Virtual Microphone System, IK Multimedia’s T-RackS Mic Room, and Townsend Labs’ Sphere L22. Have you had experience with these different systems? Which one’s better? Le us know in the comments section below.